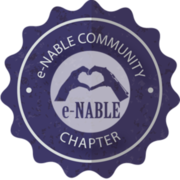 Thank you for visiting the fab of the San Gabriel Valley chapter of e-NABLE. 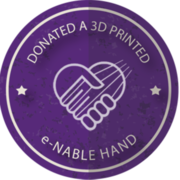 Learn more about our mission at our Facebook page. 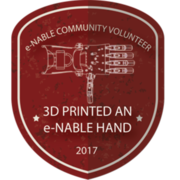 e-NABLE is a global network of volunteers creating radically inexpensive 3D-printed hands and arms for children and other underserved populations. 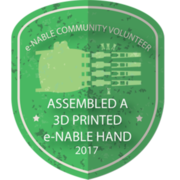 Learn more at http://e-NABLE.org, and reach out to us if you have questions, know someone in need, or want to help us fulfill our mission. July 6, 2017, 10:20 p.m.
Last visited: Oct. 2, 2017, 4:09 p.m.